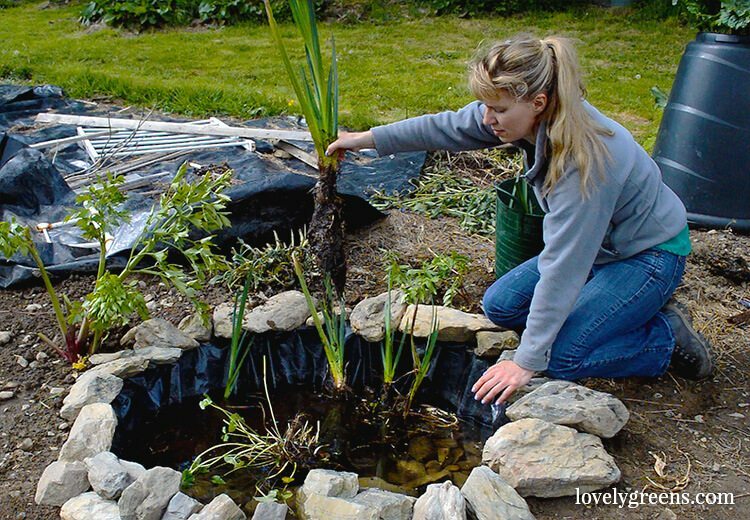 Build a small pond in the garden to attract frogs. Frogs are an organic gardener’s best friend since they love eating slugs and other garden pests. 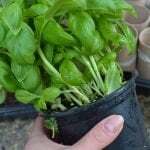 Although I try my best to garden organically there is one pesticide that I battle with myself over – slug pellets. Without them my leafy vegetables will be transformed into slimy green lace. 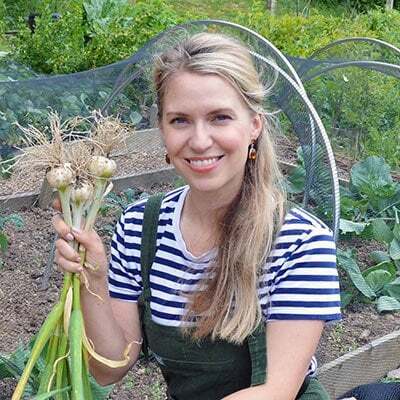 You can argue for other methods – beer traps, egg shells, picking them off individually but for me slug pellets have always been the best and easiest way to do the job. There are organic and pet and animal-safe slug pellets available but I decided to try something I’ve heard was just as effective – frogs. Frogs are a natural predator of slugs and snails and if you invite them into your garden they’ll keep a close check on their numbers. 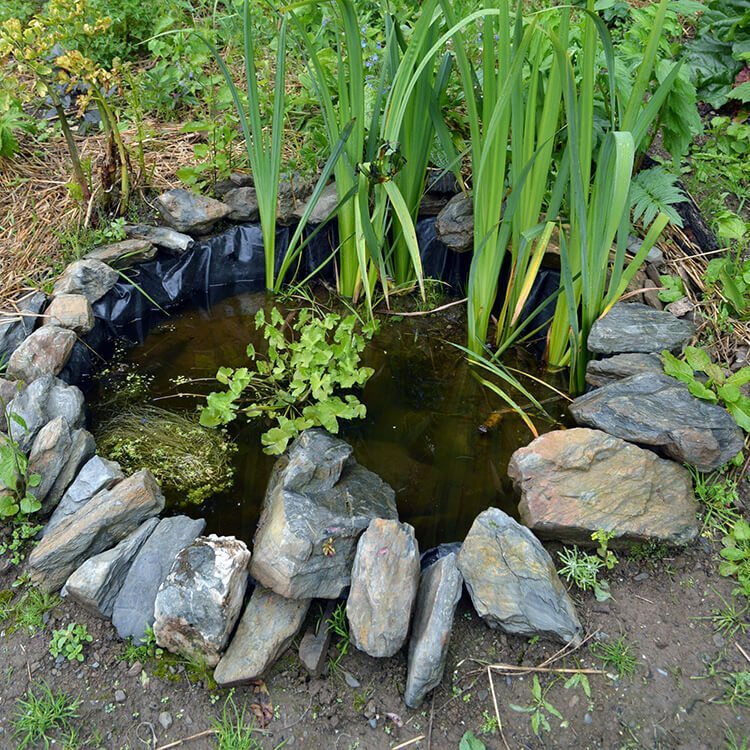 Inviting them in is as easy as building a wildlife friendly pond with taller vegetation near it and some hiding places in the water. Build it and they will come. The idea came to me as I was tidying up my cottage wildflower garden at the end of the season last year. I accidentally disturbed a large frog and then helped herd him into the hedge. I don’t know why I was surprised to see him there though, especially since there was a pool of water near the far end which had been there all summer. 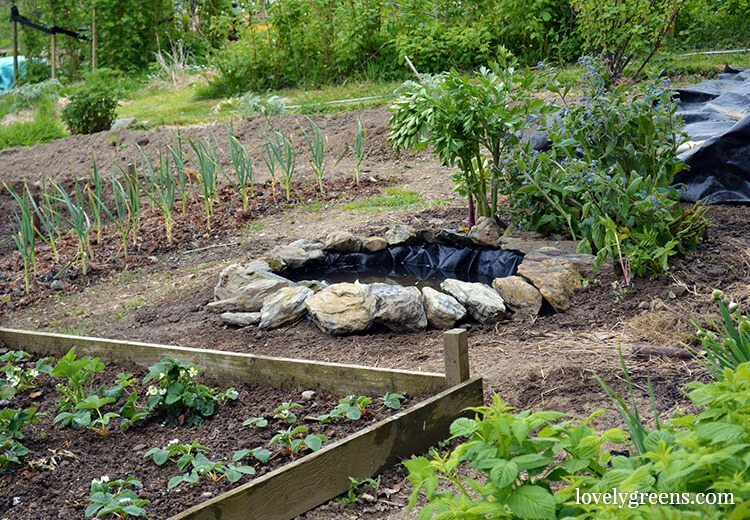 It was time to build a purpose-built frog pond where frogs were needed most – near my vegetables. 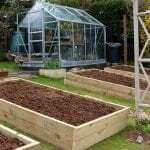 The first step was digging a hole deep enough to take the wooden raised bed. 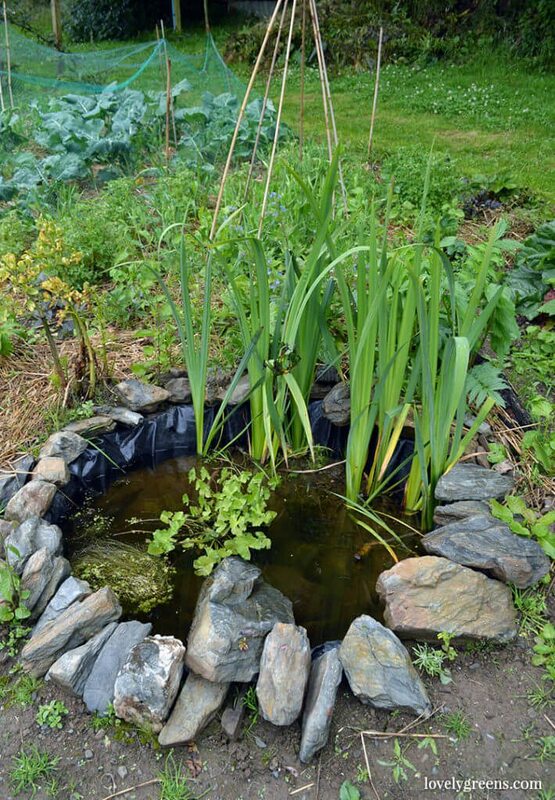 You could build a pond without this wooden frame but I though it would keep the edges of the pond neat, tidy, and less prone to soil falling in. I dug the area in the middle a little deeper to create a better hiding space for frogs and to also create a place to put a water plant. 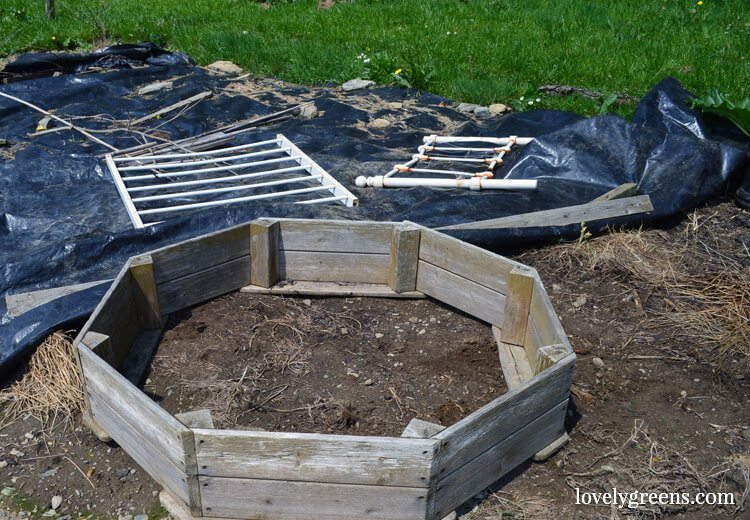 Next I placed a layer of black plastic in the hole and then the wooden raised bed on top. I pulled the plastic up and over the sides of frame and stapled it on the inside lip. A second layer of black plastic then went inside the frame and its edges come up and over the wooden frame again. I wanted to protect the wood as much as possible from damp and rot so hopefully this plastic sandwich will work. To secure the plastic I filled in the gap around the edge of the wooden frame with soil. It holds the plastic down and brings the soil level right up to the edge of the pool. Next I filled the bottom of the pond with stones and lined the edge with larger ones. A large rock sits in the water at a diagonal to create a hiding space underneath and a way for frogs and animals to get out of the pond. The water came from the hose-pipe and it cleared in the pond after only an hour. A clear pond is no use for frogs though so the next day I came with plants. Yellow Flag Irises are marginal plants and I’ve planted them at the back where the most plastic is exposed (my pond is situated on a slope). I’ve also placed a Marsh Marigold (Caltha palustris) in the pond towards the front. When they take, they’ll provide food and foliage for frogs to live and hide in. I was told by a friend that frogs will move in naturally and sometimes immediately but I’ve also had the offer of tadpoles to complete the project. Some of them will arrive today and others next week. With any luck, my garden will be ‘Hopping’ in now time! When I had a water dog. Crazy boy I got him a kids plastic pool. In late summer/early autumn I went to clean it out and put it away. I looked inside and I had little frogs. I had a large frog in the front yard. Our natural pond had turned over and all the ground frogs moved into his pool. He loved them. However, love did not go the other way. He would lay with them so they could lay on him and hop around. He is gone now but thanks to him I will donate his pool to the new frogs. How is the pond going? Algae? Thinking about doing this in my new garden…. Not sure if I should use a pump or not. It’s going well! Its been really sunny recently and that has helped the pond algae to grow. What I’m doing is baling the water out and using it to water plants. Refilling it afterwards with fresh water is keeping the pond scum at bay. That looks very nice. I found a frog in the garden ysterday and I have built it a micropond, hoping it will stay there and come next year to have a family, too. Fingers crossed for you and your little frog! Did you put a pump in it? No pump but it’s still doing just fine – no unwanted algae or weeds either but I’ll be keeping an eye on that. 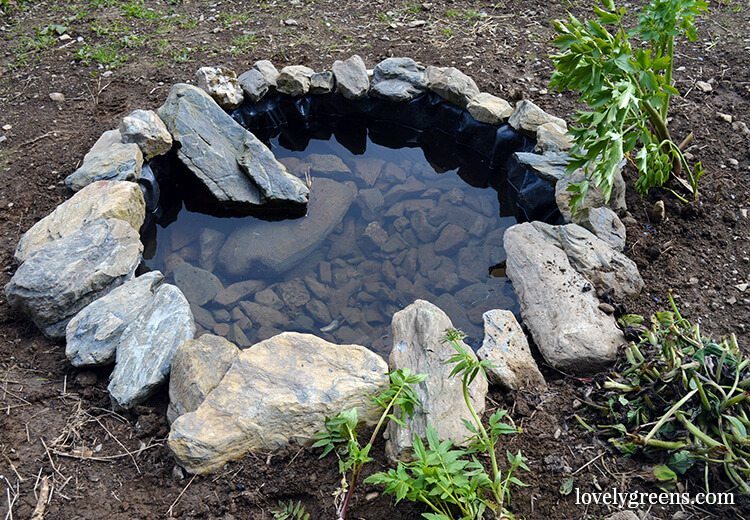 The pond looks really good, you might need a barrier of sand between the rocks and the black plastic at the base of the pond to help prevent the rocks eventully piercing the plastic and causing a leak. Love the little rock ramp. Thanks! And you know I thought about that…afterwards. Doh! I’ve put some soil in the pond for the growing plants so hopefully some of that settles below the rocks. I’ll clean it out and add sand though after the warmer season is over and the tadpoles/frogs have vacated. What do you do to keep the water clean and not go stagnant? Water plants! We’ll see how the Flag Irises and Marsh Marigold do but if there are issues I’ll look into other solutions. 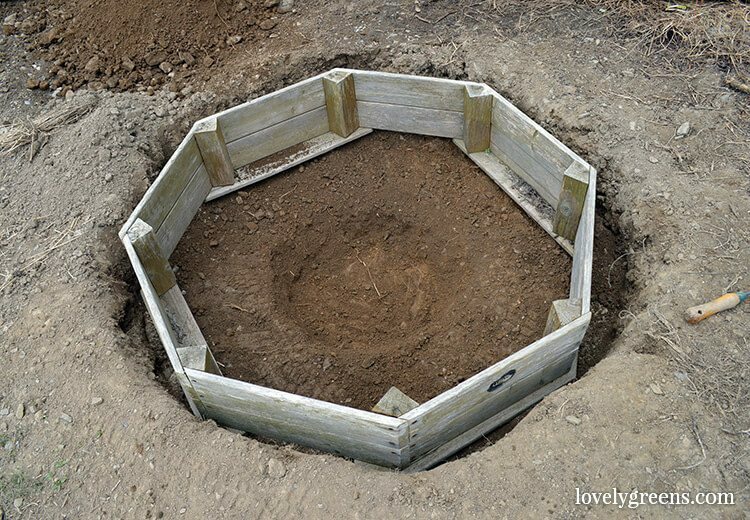 I have a pond on each of my plots and like you wanted to keep the cost down, On my first plot it is made with and old plastic sandpit and on the second from an old bath. My ponds have been in situ a few years now but I still haven’t had frogs spawn in them though I have fond them around and about so I think they are definitely attracted to them!! Great idea with the plastic sandpit and bath. Have you noticed any other animals or insects frequenting your ponds? Do the frogs just hang around the ponds but don’t go in?